Note: These techniques can only be used with Classic Skinning. Turn on Classic Skinning in the Tool > Adaptive Skin sub-palette. It is possible to distort the shape of a zsphere mesh by using Magnet-Spheres. This technique can be very useful for creating wings and similar shapes or adding bulk where it’s needed. 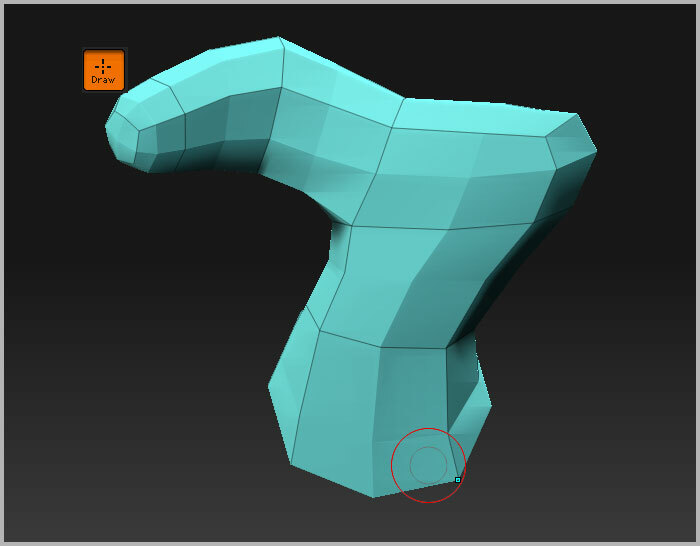 In Draw mode, add a regular zsphere at the place where you want the magnet. In Move and Scale mode, adjust position and size of the zsphere. In Draw mode, Alt+click on a Link-Sphere to create the magnet. 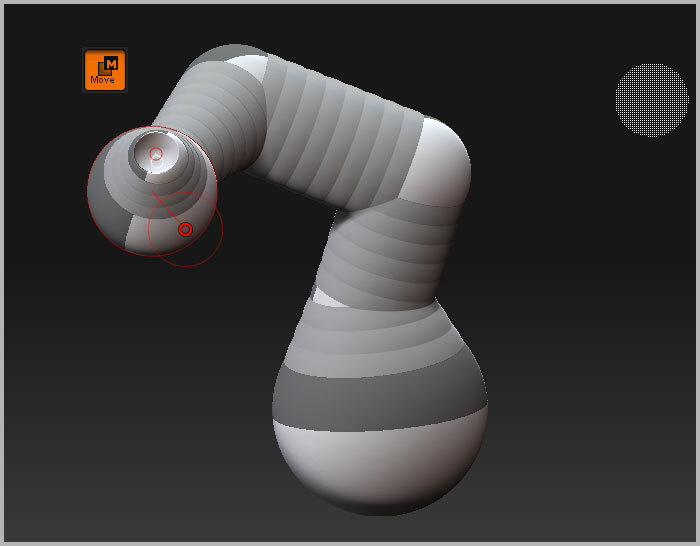 Press ‘A’ to preview the mesh, adjusting the position or scale as necessary. In Move mode click on the magnet to select it – this will make its connecting lines appear. In Draw mode, hold down Alt and position the cursor between the lines: the cursor will change to a little square with a minus sign [-]. Click and the grey link-spheres and zsphere will be restored. Edgeloops can be formed by adding smaller zspheres to the model. 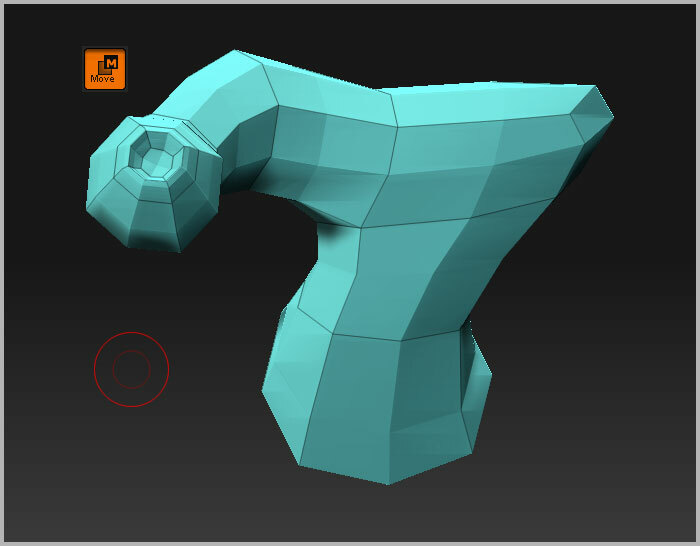 If these zspheres are moved inwards they will form a ‘socket’, suitable for sculpting eyes and similar shapes. 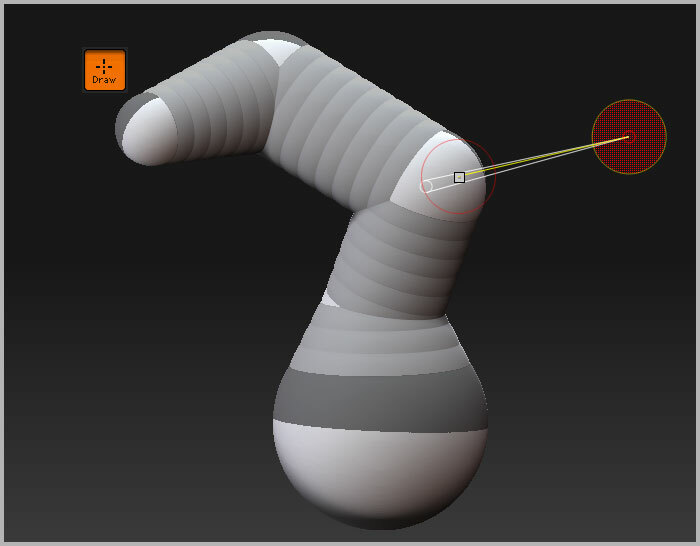 In Draw mode add a zsphere where you want the socket. In Move mode, move the new zsphere inwards until it appears to pop inside out. The edgeloop socket will have been created. In some circumstances adding two small zspheres one on top of the other can produce a better result; the second zsphere, which is the one pushed inwards, should be slightly smaller than the first. To remove the socket, simply move the zsphere outwards.